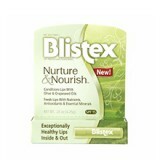 Blistex, America’s leading lip care range has a long line of effective, high quality and innovative products. The star of this premium lip care range is most certainly the iconic DCT, one of South Africa’s favourite daily conditioning lip treatments. With their pioneering spirit, Blistex regularly brings new, state-of-the-art products to the South African market, catering for all lip care requirements.